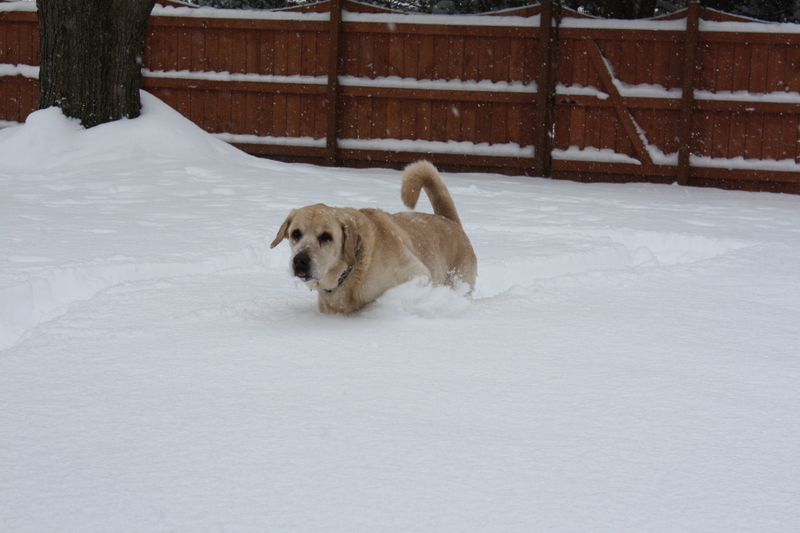 We’re on our fourth consecutive day of non-stop snow around here. They call this Lake Effect Snow, since it results from our proximity to the Great Lakes. It seems to appear without warning and quickly covers the area with mounds of snow, which are practically taller than my children. But, large snowfalls are nothing new to the area, so for the most part, people just move on with their business. Personally, I prefer to hole up in the warmth of my home until the snow stops. The timing of this particular snow event is perfect though. I had nothing more planned for the week besides baking Christmas cookies. And so, as the snow continues to fall outside, we’re staying warm in the kitchen and beginning this year’s Christmas cookie collection. 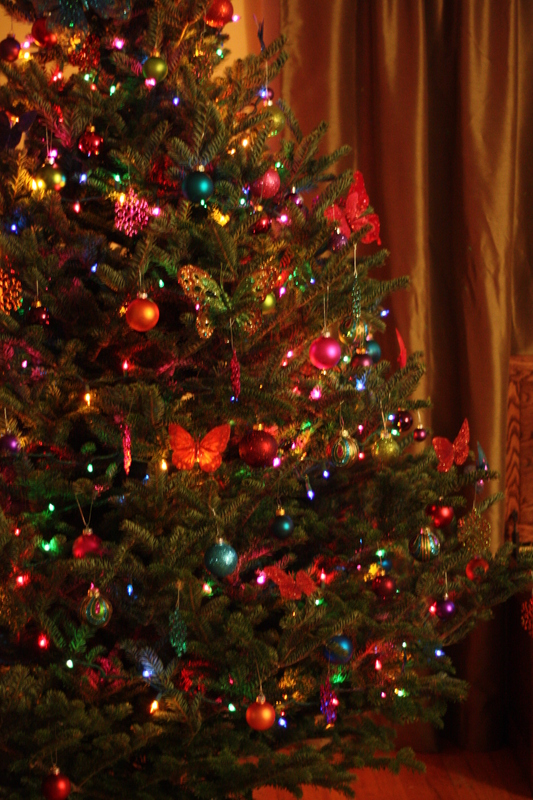 The tree is lit, the house smells of pine, and we’re well stocked with cocoa and candy canes. It’s time to get our Christmas baking on. We’re starting with a personal favorite; oatmeal chocolate chip. This is a small variation on a recipe I’ve shared before, which is a slight adaptation of the recipe you can find on the inside cover of a barrel of Quaker Oats. In my opinion, these are truly the best oatmeal cookies ever. They’re perfectly sweet and buttery, with crisp edges and a slightly chewy center. I almost always add chocolate chips and typically some chopped dried apricot when I make these cookies. With the holidays approaching, dried cranberries felt a bit more festive, so we’re swapping the apricots for craisins. Stay tuned during the next two weeks for more cookie recipes! Preheat oven to 350 degrees. In a bowl, combine flour, baking soda, cinnamon, and salt. Set aside. In another large bowl, beat the butter and sugar together until creamy. Add the vanilla and eggs to the butter mixture. Blend until well combined. Gradually add the flour mixture to the bowl and blend. Stir in the oats, chocolate chips, and apricots. Form into small balls, about 1 inch diameter, and place on an ungreased cookie sheet. Bake for about 14-15 minutes, until the edges begin to brown and the center appears cooked. Allow to cool on the baking sheet for a minute before transferring to a cooling rack. *It’s actually more like 4 dozen, if you count the taste-testing cookies, that is… I’m firmly committed to quality control, you know. Posted in Baking, Chocolate, Cookies, Desserts, Food, Recipes and tagged baking, chocolate, Christmas, cookies, Cooking, dessert, Food, holidays, Recipes, snow, syracuse, winter. Bookmark the permalink. The cookies look so delicious! My Grandfather and I would share oatmeal cookies when I was a kid. They make me miss my childhood. Boy that’s a lot of snow! Cold weather is a great time for cookies. 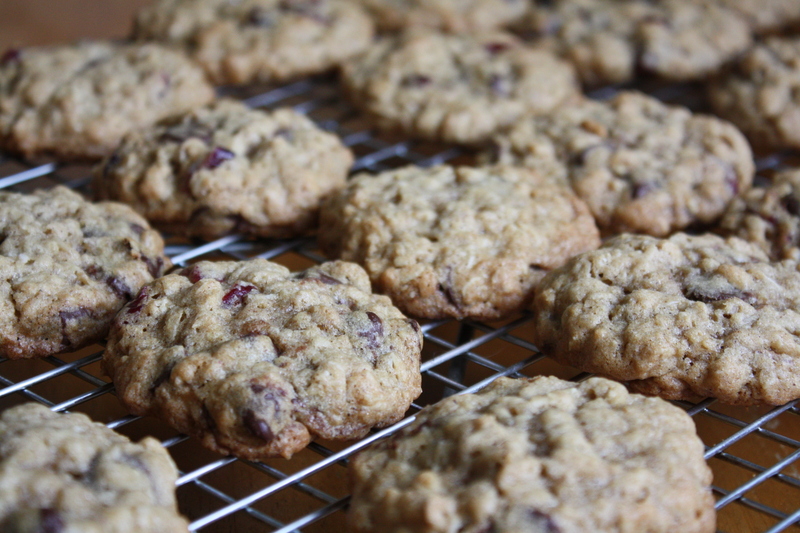 Oatmeal chocolate chip are one of our favorites. I can just imagine how good they are with the addition of craisins. Your pooch must have had the chilliest paws and your tree is absolutely beautiful. 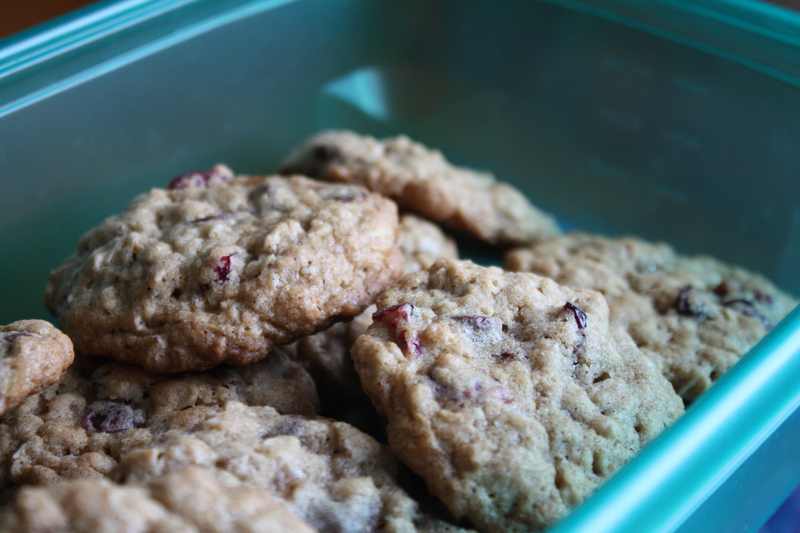 Oatmeal cookies are always so yummy and I love the addition of chocolate chips and cranberries. These were delicious!!! A new family favourite. We used thick cut oats… resulted in awesome texture.